Sightings of butterflies and day flying moths as well as odonata have just about come to an end for this year despite the weather being unseasonably mild. This clouded yellow was photographed on 19th October and it was in pristine condition unlike the battered specimens of butterfly often seen at this time of year. Was it a late migrant or is there a vague possibility that they could have bred here this year? I understand that Ffos Las had the first Carms recording of a clouded yellow this year - has it also the last? 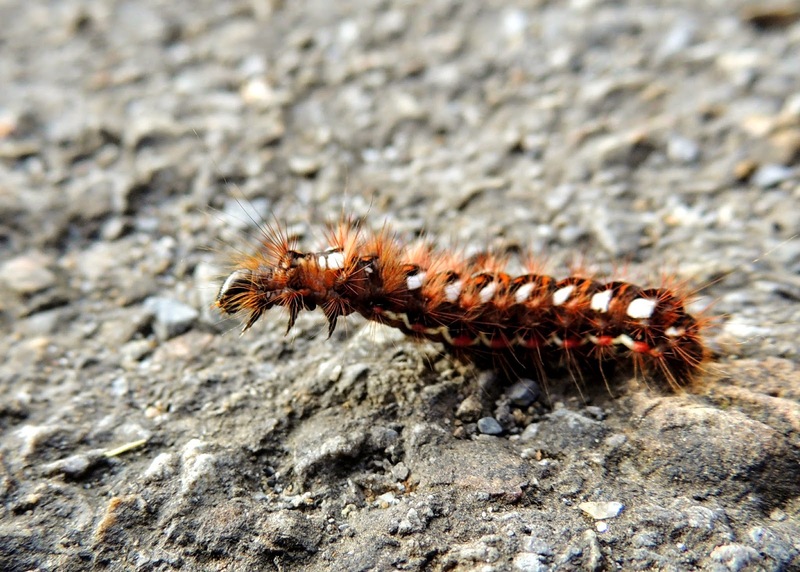 A ferocious looking knot grass moth caterpillar photographed on 21st October. 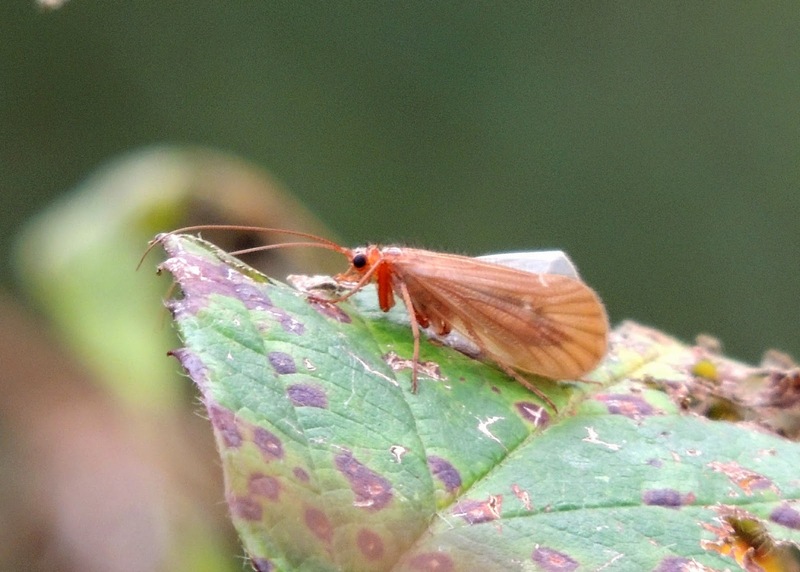 Is this a type of caddis fly? I only have a very basic guide to this type of insect. It was seen 26th Oct on brambles alongside the stream. 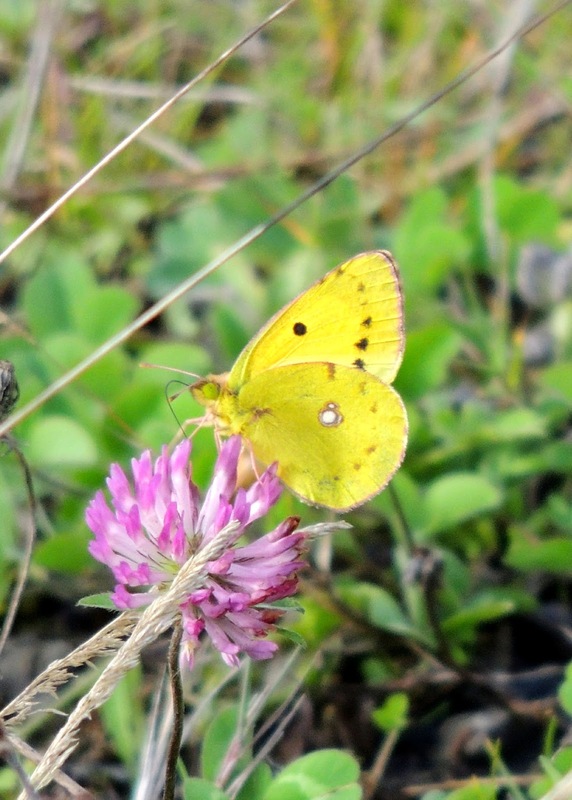 The latest clouded yellow record known to me were two at Pwll Fishing Lakes on 10/10 (Jeff Williams). I await with bated breath to see if anyone has a more recent sighting. It would be a very pleasing balance to have the first and last sighting of a species for the county, but I don't have a lot of hope. Thanks also for your very informative Winter Moths Newsletter which I enjoyed reading. I know that as a very new and inexperienced recorder of moths that I'm unlikely to feature much in such records, but if you are referring to contributors by initials only after the first mention, then there are now at least 3 MJ's contributing to the blog!! The caddis looks like Chaetopteryx villosa - this species has unusual little bumps on the wing surface, which are just visible in your photo. I've seen this species in Cornwall but haven't caught any in my moth trapping in South Wales this year.